In a bid to offer the best treatment solutions for patients in Ghana, Apollo Hospital has been working closely with Korle Bu Hospital in the field of neurosurgery to provide health care for patients specifically battling with brain tumour cases. 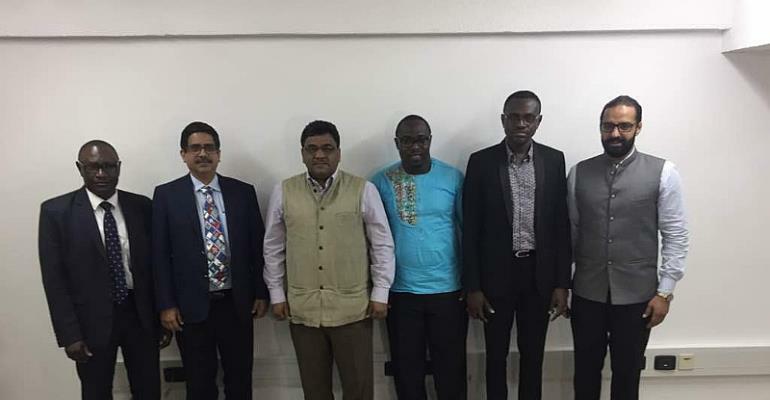 This cooperation has over the past few years strengthened under the leadership of Prof. Thomas Dakurah and Dr. George Wepeba who are doctors from Korle Bu and Dr. Alok Ranjam who is a doctor with Apollo Health City Hyderabad. Dr. Ranjan's team has saved lives by successfully treating complex neurosurgical cases in its worst forms. Some of these cases are referred from other countries to Apollo hospital which is situated in India. On Monday, an interaction session organised by Apollo Hospital at Holiday Inn in Accra, gave some Ghanaian patients who had visited the facility for healthcare purposes an opportunity to share their experiences. One patient who was referred to the facility after being diagnosed with brain cancer in Ghana, shared her experience at the event. She indicated that the quality healthcare systems coupled with the warm reception at Apollo hospital left an unforgettable impression. “They are doing a great job and we hope that more Ghanaians will patronize their services. We were privileged to visit Apollo. Post care was very good,” said the patient. A Senior Neurosurgeon at Korle, Dr. George Wepeba who was also a guest speaker at the event indicated that the limited number of intensive care units is a major a challenge that is hindering neurosurgeons from effectively discharging their duties in Ghana. “After the surgery most of the patients do not recover early so you need to put them in the intensive care unit but often the intensive unit is so small to contain these patients,” he complained. Dr. Wepeba in that regard called on government to provide adequate resources to address this challenge.